I know I’ve been making a bunch of chocolate cupcakes lately, but I hadta do this one 🙂 I absolutely love hot chocolate, especially mexican hot chocolate. 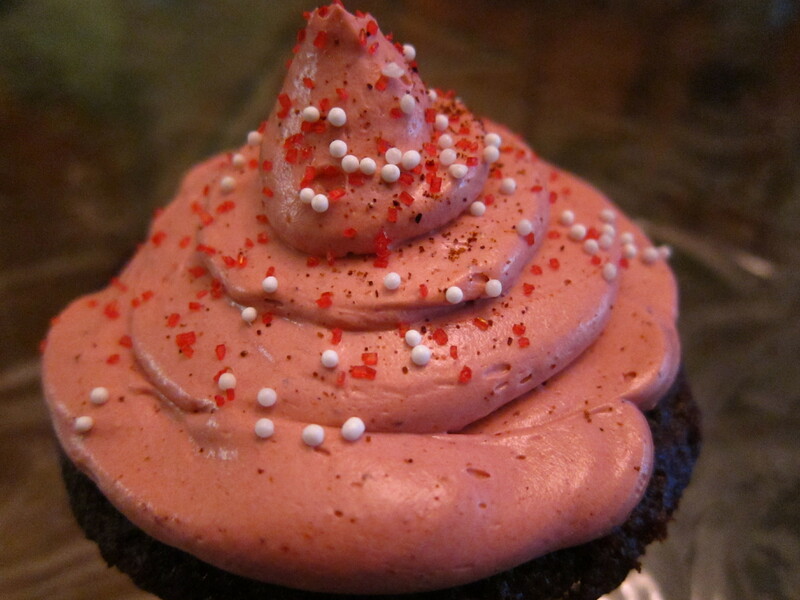 It’s got everything that I love: chocolate and spicy! Mexican hot chocolate is actually a very ancient drink that dates back to the Aztecs in the 15th century!! By the 15th century, the Aztecs gained control of a large part of Mesoamerica, and adopted cacao into their culture. They associated chocolate with Xochiquetzal, the goddess of fertility, and often used chocolate beverages as sacred offerings, now I like the sound of that! The Aztec adaptation of the drink was a bitter, frothy, spicy drink called xocolatl, made much the same way as the Mayan chocolate drinks. It was often seasoned with vanilla, chile pepper, and achiote, and was believed to fight fatigue, which is probably attributable to the theobromine content, a mood enhancer. Because cacao would not grow in the dry central Mexican highlands and had to be imported, chocolate was an important luxury good throughout the Aztec empire, and cocoa beans were often used as currency. Wouldn’t that be lovely, using chocolate as money? I’d certainly be poor cuz I’d eat all of my savings 🙂 Alright, so back to the cupcakes! Yum yum! So you mix together dry ingredients and wet ingredients separately and then together. 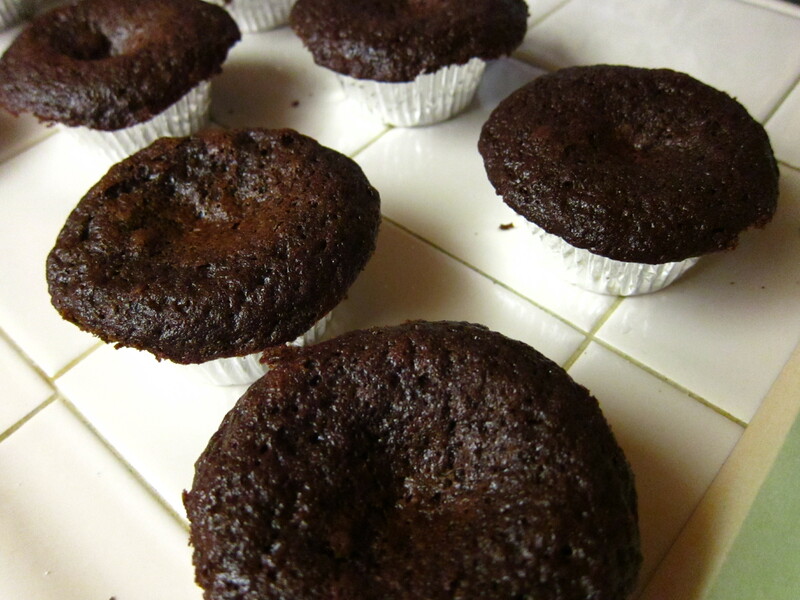 Pour batter into your prepared cupcake tins and bake for 20-25 minutes at 350 degrees. 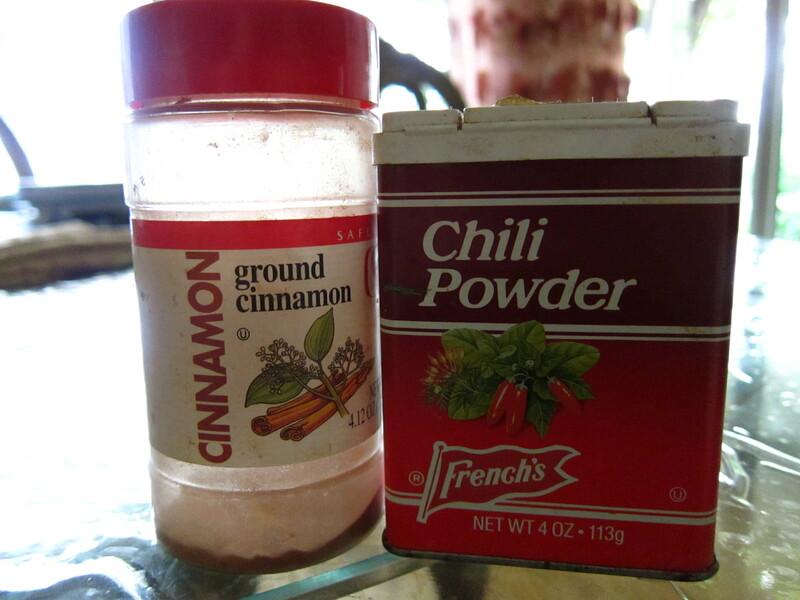 Then add 1/2 tbsp cinnamon, 1/2 tbsp chili powder and 1 tbsp cayenne pepper. I also tinted it with some burgundy and peach gel coloring. 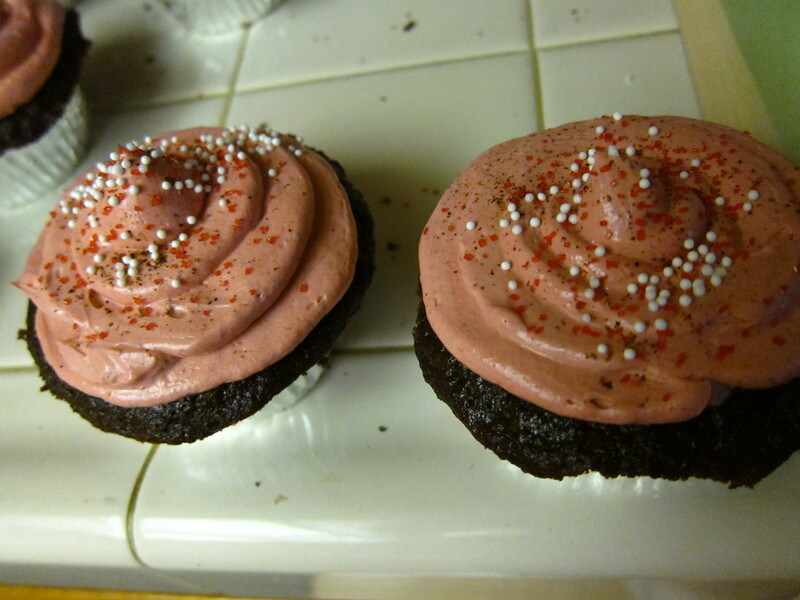 I’m not sure why the lighting is like this, but the frosting is actually a lot pinker than the photo shows. Anyway, put your buttercream in a pastry bag and pipe it on the way you like! They were very yummy with a wonderful kick! Preheat the oven to 350 degrees. Line 24 standard cupcake pans with liners, or coat with non-stick cooking spray. 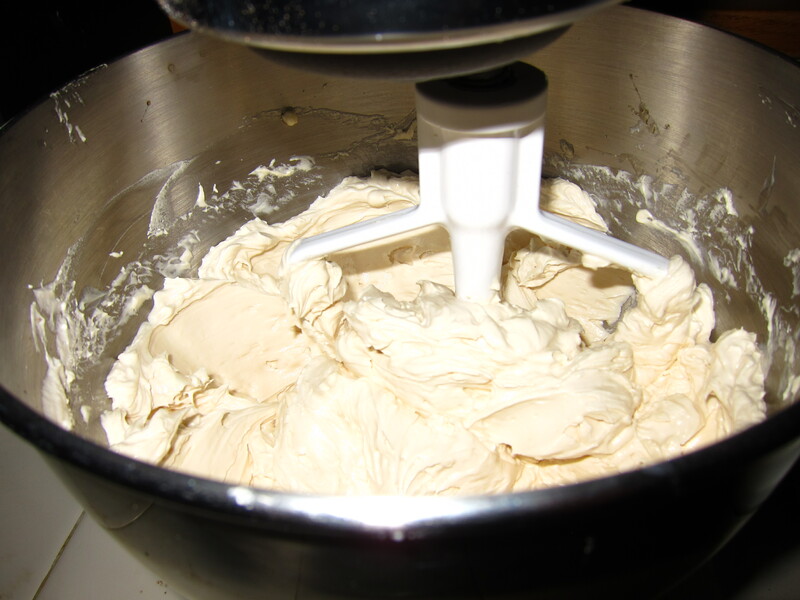 In the large bowl of an electric mixer, stir together the sugar, eggs, milk, oil and vanilla, until blended. 2. Combine the flour, cocoa, baking powder, salt chili powder and cinnamon, and gradually add to the sugar mixture, until the mixture begins to come together. 3. 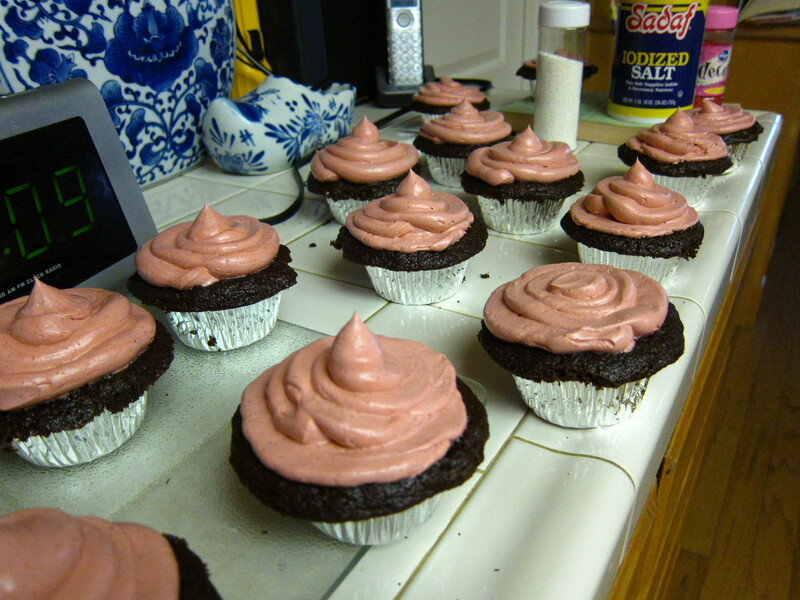 Ladle or scoop the batter into the cupcake tins, filling ¾ full. 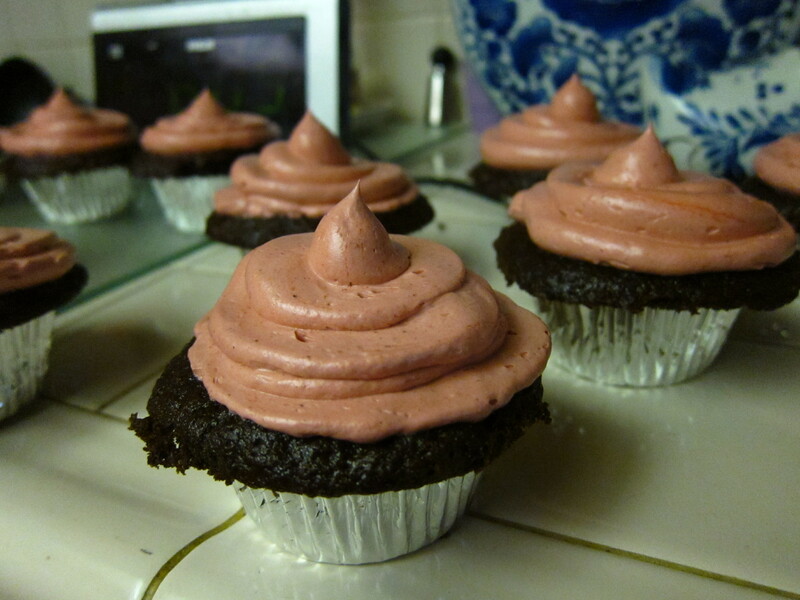 Bake the cupcakes for 15 to 18 minutes until a skewer inserted into the center of each one comes out clean. 4. Cool the cupcakes in their pans on wire racks until cooled. 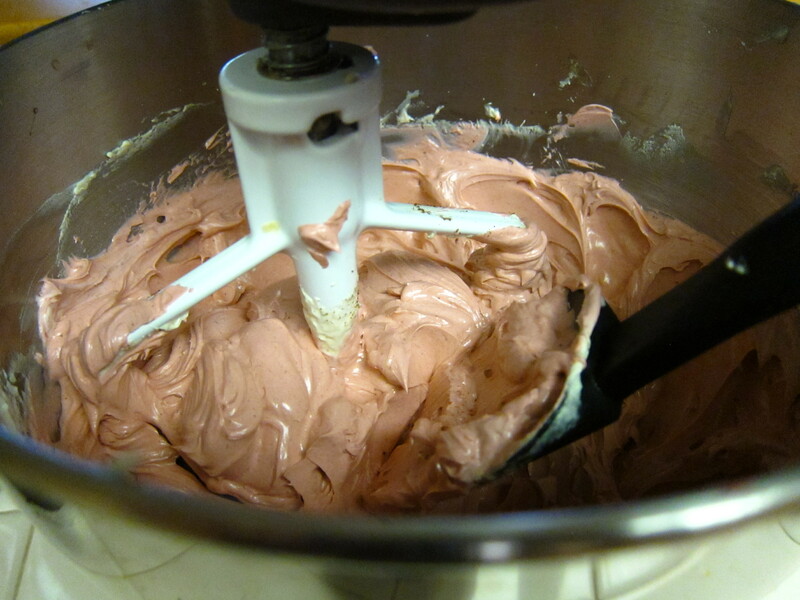 With mixer on medium-low speed, add the butter, a few tablespoons at a time, mixing well after each addition. Once all butter has been added, whisk in vanilla, chili powder, cinnamon and cayenne pepper. Switch to the paddle attachment, and continue beating on low speed until all air bubbles are eliminated, about 2 minutes. Scrape down sides of bowl with a flexible spatula, and continue beating until the frosting is completely smooth. Keep buttercream at room temperature if using the same day, or transfer to an airtight container and refrigerate up to 3 days or freeze up to 1 month. Before using, bring to room temperature and beat with paddle attachment on low speed until smooth again, about 5 minutes. 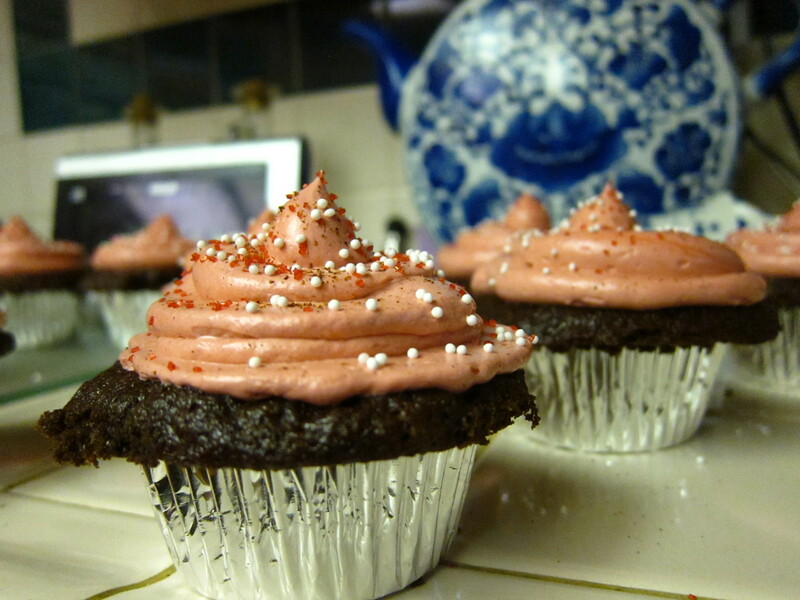 I made these cupcakes and I love them. 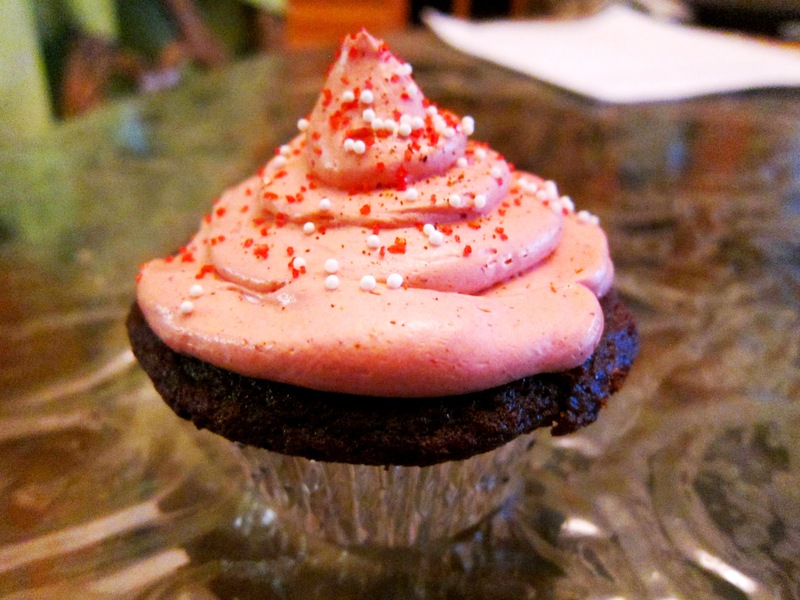 The frosting is a little too buttery so I’ll have to tweak that next time but wow, I love spicy chocolate. Oh great! I’m glad you enjoyed them!